Have you ever thought about traveling the world? Dreamt of collecting as many passport stamps as possible? Pete, from BucketListly Blog, took the leap six years ago to travel the globe full-time as a digital nomad. He catalogs all of his adventures in the form of videos, photos, and detailed guides for other travelers looking to explore every corner of the world — on a budget, no less. On top of that, Pete’s work has been noticed by the likes of National Geographic, Vimeo, and BBC. 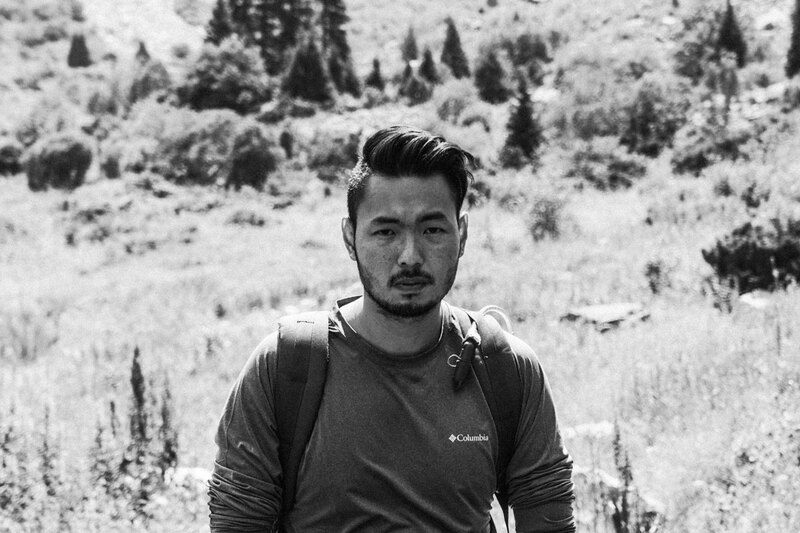 He was kind enough to share his thoughts with us on the success of his blog and what inspires him to travel. Pete from BucketListly Blog during his trip to Chile. Why did you start BucketListly Blog? The idea came to be in 2012 when I was traveling in China for a conference with a few friends and it grew from there. When I got back to Bangkok after that trip, I was so inspired. I wanted to start traveling more. I was trying to find people who were willing to go on a backpacking trip around the world, but as time went on and after countless unfruitful plans, I realized that if I wanted to travel the world, I would have to do it alone. So my first solo trip began in 2013 in Cambodia and I’ve never looked back since. The blog existed before that trip [to Cambodia], but it really took a turn after that. That trip set the course for BucketListly Blog to become the travel blog it is today. What’s the most helpful skill that you’ve brought from your previous life into your work as a digital nomad? I began my career as a web programmer at a British e-commerce company based in Bangkok. Later, I moved into a more design-related field as a front-end developer and turned full-on User Interface designer with my last office job before becoming a freelancer. With that skillset, I was able to build my own websites, applications, and blogs from scratch all by myself, which helped tremendously at getting my businesses off the ground at almost zero cost. The skillset also helped me get into the photography and filmmaking business— with my understanding of colors from being a designer and proficiency with programs like Adobe Premiere Pro from being a developer— all of which can be done remotely. The knowledge of design and development, together, really helped propel me to where I am today. What have been the biggest changes for BucketListly Blog over the past few years? I’ve been writing on BucketListly Blog as a hobby for almost six years now, but it’s only recently that I decided to turn the blog into more of a business, catering to what the readers want, and showcasing the travel content I have accumulated over the past five years. In March 2018, I did a big redesign followed by a migration to a new platform and a new URL, BucketListly.Blog, to accompany all the changes. And what a big change it was. I have doubled my traffic, streamlined my process of writing to keep up with the content update schedule, and increased the value my viewers get since the migration. In addition to his blog, Pete has also created a BucketListly app, to track all of your travel goals, and TravelListly, to highlight other travel content creators. BucketListly Blog is so much more than a travel blog. In addition to sharing your own travel experiences, you also offer travel, filmmaking, and blogging tips. What do you hope people walk away with after visiting your site? First and foremost, my goal for BucketListly Blog is to inspire people to go out there and explore the world in the most authentic way possible by providing essential travel information to readers as quickly, as reliably, and as efficiently as possible so they are prepared to go off the beaten path. For those who are interested in what I do, how I do it and want to learn more from me, I have an entire Resources section dedicated to them. I hope people will walk away with the knowledge I acquired in the past six years of traveling and creating content so they can learn from it and come up with their own style based on the knowledge I’ve shared. In addition to Bucketlistly, you’ve also launched the Bucketlistly app and Travelistly. How did those projects come about? How do you see them as fitting into your blog? Actually, the blog was conceived as a company blog for the BucketListly app I created back in 2012 after my trip to China. It turned into its own business after I started traveling more and more, so I decided to spin it out with its own .blog domain and have it live separately — but still spiritually connected — to the BucketListly community. Travelistly.com was created after both of them. The idea was to have a platform for travel content creators, like myself, to come share, discuss, and vote up/down each other’s work so that we can improve together as a travel content creator community. Living as a digital nomad allows Pete to travel all over the world. What’s your approach to balancing your various businesses, creative projects, travel, and blog? Do you have any specific tools or software that you particularly rely on? Balancing can be quite tricky when you have more than three businesses at a time. I sometimes struggle with it, but I try my best to automate tasks so that I don’t have to deal with it myself. Almost all of my apps and blogs are run on Ruby or Rails and I often write my own tasks to do the heavy lifting, like migrating 7,000 photos from Tumblr. I often stick to Google for software like Gmail, Google Drive for remote storage and documents, Google Tasks to keep track of what to do each day, Google Keeps to write down ideas I want to work on, and Google Calendar to remind me what I have to do at a certain date. Bucketlistly has been featured on some pretty amazing outlets. With so many travel blogs out there, what do you think makes it stand out? Thank you! There are many travel blogs out there, but not a lot of them are written from a perspective of an Asian traveling the world on a third-world passport. (IamAileen.com is another great blog written from the same perspective.) My travel style is also aligned more towards the budget, hiking adventure, and backpacking side of things, which, I’ve got to admit, is lacking some English-speaking travelers from third-world countries. I want to shed light on that and inspire people that, even if you are not privileged to have a first-world passport, you can still travel the world. Together, with the style of my content from the fast-cut travel videos to the way I organize my travel guides, I hope BucketListly Blog will offer something that is useful, unique, and special to the travel world. For more BucketListly Blog, visit BucketListly.blog, or follow along on Twitter and Facebook. Ready for your own .blog? Get yours through any one of our partners!